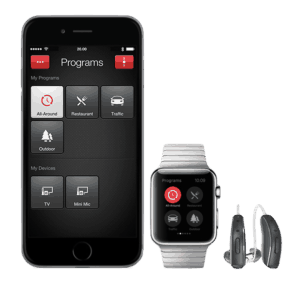 With extensive research, hearing aid manufacturers have equipped their products with incredible new technology. Hearing aids these days are equipped with powerful processing systems, better speech recognition, better abilities to sift through sound – all in a compact package! Hearing aids are now equipped to stream music, movies, and television. Using advanced technology, they can “think” and distinguish conversation from background noise far better than before. From crickets to conversation, your hearing aids will automatically adjust to give you clarity of sound. With binaural performance, your hearing aids pick up sounds from every angle and mix the audio, allowing you to hear naturally from both ears. This means no more turning your head to hear with your “better” ear! If your first image of hearing aids is a putty-colored, clunky, whistling device, think again! These days, hearing aids have excellent aesthetics – slim, smooth, and ergonomic – and are often invisible or barely visible at first glance. In-the-canal hearing aids, inserted deep in the ear canal, are virtually invisible, while behind-the-ear models have a slimmer, practically invisible tube that sits in front of the ear. The tiny clear tube is made of material that seems to blend in with your skin. The newest receiver-in-the-canal models are lighter and smaller, so they are more discreet, and the amplifier sits closer to the eardrum for crystal clear sound from any direction. If you chose not to go invisible, there are a great number of color combinations to match your skin tone or hair color. Even though they are lightweight, they still pack a big performance and can correct hearing loss that was difficult to treat before. Newer hearing aid models almost look like Bluetooth attachments or high-tech communication devices. These days, it’s hard to tell If someone is wearing a hearing aid, streaming their music or making a phone call. With innovative new technology, it could be all three! With hearing aids, it’s what’s inside that counts – and this is why it is so important to make sure that the sensitive electronic components are well-protected. Upgraded coating on hearing aids makes them more resistant to moisture, sweat, dirt and dust. They don’t “sweat” against your skin and discolor because of perspiration. With new nanocoating on hearing aids, people with active lifestyles can hike, run, and generally enjoy the outdoors without worry. Additionally, many hearing aid models provide wind noise reduction, so no more wind whistling in your ears when you are hiking or kayaking! New construction materials also mean a tighter seal for the battery door, if you choose a model that operates on batteries. 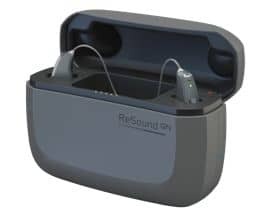 Rechargeable hearing aids have gotten a major upgrade in the past year with the introduction of lithium-ion battery technology. Lithium-ion batteries are found in other electronics we use, such as mobile phones and tablets. They are fast-charging and hold a charge for longer periods of time than previous versions. For people on the go, rechargeable technology eliminates the worry that their aids may run out of batteries. You no longer have to reach up and adjust your hearing aids! Many hearing aids are compatible with your smartphone and can be adjusted using an app provided by the manufacturer. Some models come with a tiny remote that looks like a car door remote. Some hearing aids offer an incredible GPS feature, which remembers where you’ve been and archives your listening preferences. When you return to that spot, your hearing aids will automatically adjust. If you’re in the market for a new pair of hearing aids or want an upgrade, the first step is to contact us at Gulf Gate Hearing Aid Center. Our team will help you learn more about the options that best suit your hearing needs! Call us today to schedule an appointment for a hearing test or consultation. Specialized hearing devices can support the lifestyle and work needs of musicians, swimmers, sports and outdoor enthusiasts, the fashionistas, techies and – you! 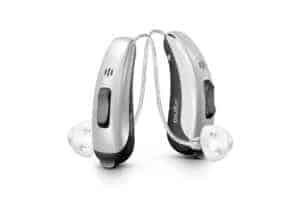 Hearing aids come in so many models, with so many different functions, there is certainly a model to fit your lifestyle and we are here to help you find it. 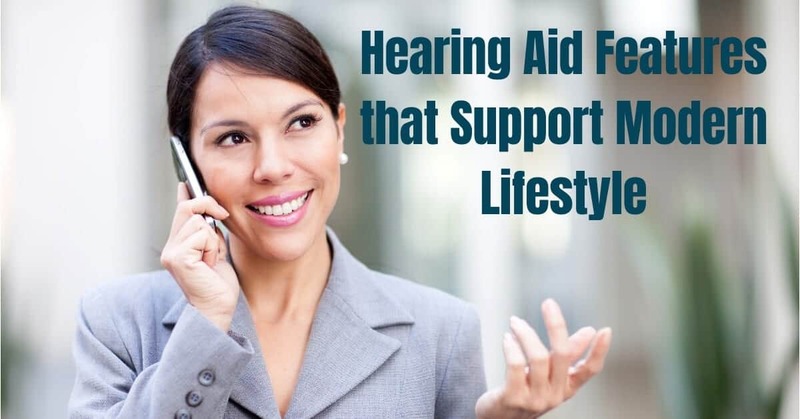 Get started by scheduling a hearing evaluation at Gulf Gate Hearing Aid Center and read on to learn more about exciting hearing aid features that support a modern lifestyle. If you’re in the market for a new pair of hearing aids or want an upgrade, the first step is to contact us at Gulf Gate Hearing Aid Center. Our team will help you learn more about the options that best suit your hearing needs! Call us today to schedule an appointment for a hearing test or consultation.